Viknesh Vijayenthiran April 17, 2012 Comment Now! Audi’s long-awaited Q5 Hybrid, which was launched for sale in Europe late last year, is reportedly still on track for a local debut. The eco-friendly crossover was first revealed almost two years ago and has been in contention for a U.S. launch ever since due to this market’s penchant for hybrids. 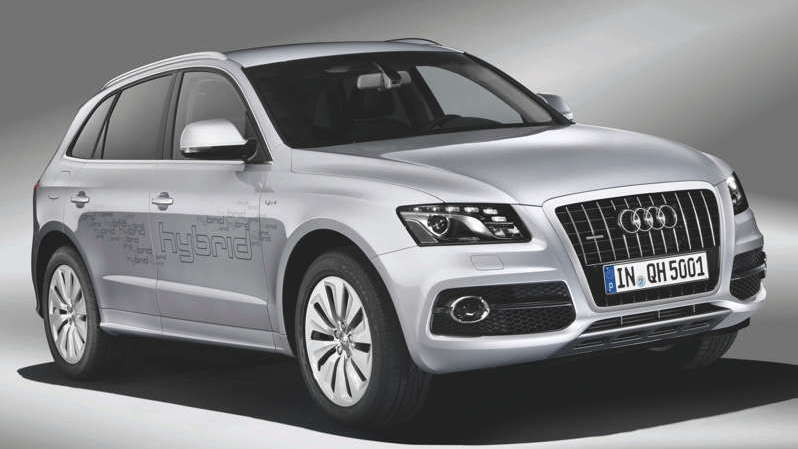 However, Audi has been reluctant to officially confirm the Q5 Hybrid’s arrival. 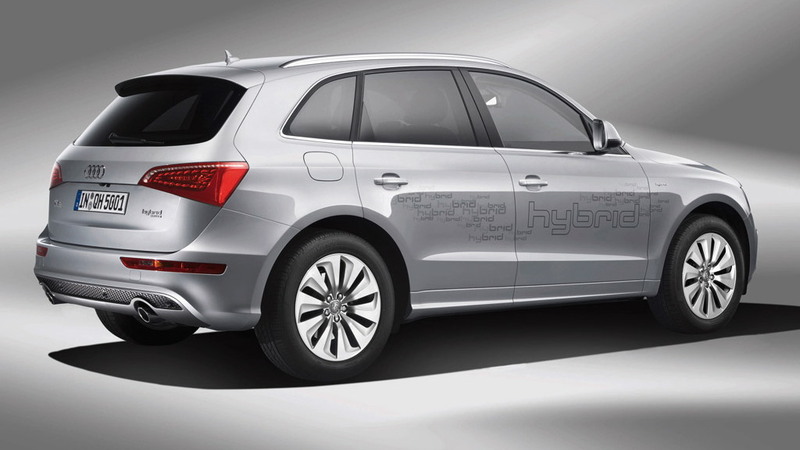 According to KickingTires, however, a spokesman for the automaker has confirmed that the Q5 Hybrid is coming soon, though no mention of a sales date or pricing has been made. It will be Audi’s first hybrid vehicle on sale in the U.S. and is expected to come with a similar drivetrain to the one found in European models. This means a turbocharged 2.0-liter four-cylinder engine matched to an electric motor and eight-speed automatic transmission. The gas engine has a rating of 211 horsepower, while the electric motor is rated at 54 horsepower and is powered by a lithium-ion battery. Audi’s hybrid design allows the gas engine and electric motor to couple and decouple via a multiplate clutch, enabling the two powertrains to work independently or together in parallel fashion. The electric motor can drive exclusively for short distances and at speeds of up to 60 mph. However, it’s mostly used to aid the engine during high load situations, such as overtaking or driving up a hill. Gas mileage on the European test cycle averages around 34 mpg, though EPA ratings are likely to be lower due to differences in the tests. Audi's performance figures say the Q5 Hybrid does 0-60 mph in around 7.1 seconds and can reach a top speed of 138 mph, which is quite impressive given its 4,400-pound curb weight. 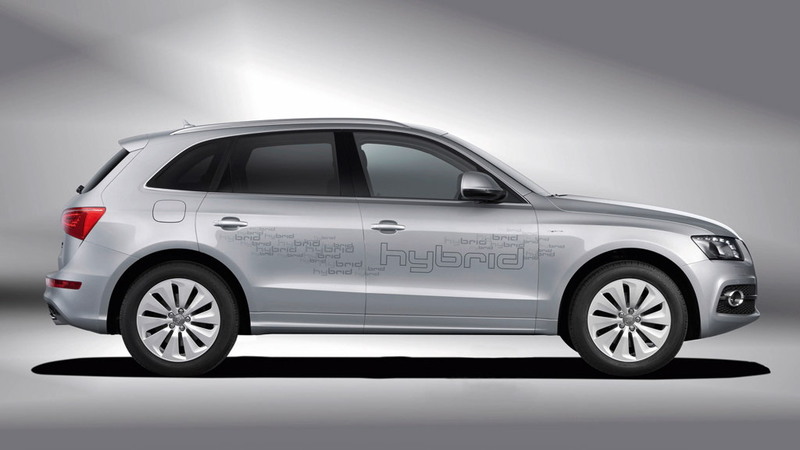 Audi is preparing to launch an updated Q5 for the 2013 model year and it’s likely that the Q5 Hybrid will be part of this new model range.